“Mommy, we forgot to mend my Rapunzel doll today . . .” Abby started as I helped her get into bed. The bow on the dress was coming off and her plush doll hair was unravelling in the back. Just minor surgery. As I sat mending her doll, I glanced up and the spool of thread caught my eye. I’ve almost used the whole spool of thread. In some odd way, that resonated with me. 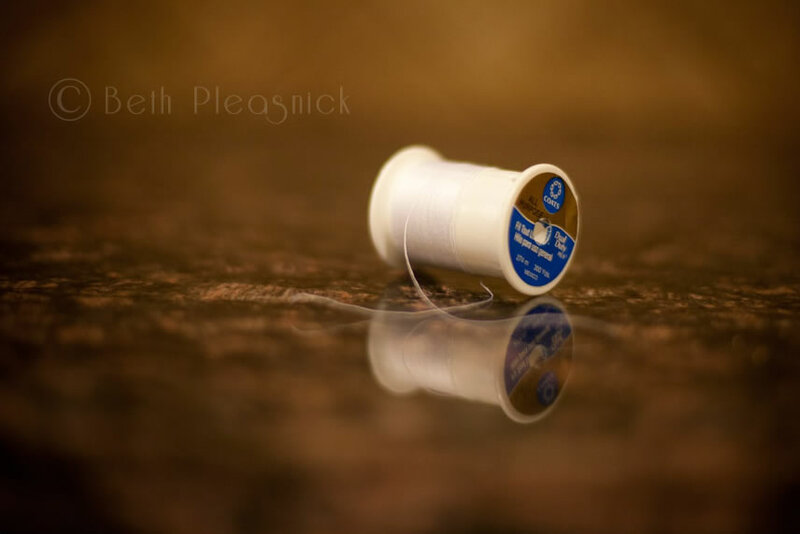 I bet I’ve had this same spool of white thread since I got married almost 11 years ago. And I’m not one to sew my own clothes or make quilts, I just replace buttons and mend tears. How many things had I mended? repaired? Enough to use up a whole spool of thread. Maybe little things like this matter to you. Or maybe you think I should get a grip and add white thread to my shopping list. But it made me smile as I tied off the knot and laid the mended Rapunzel doll next to my sleeping little girl.